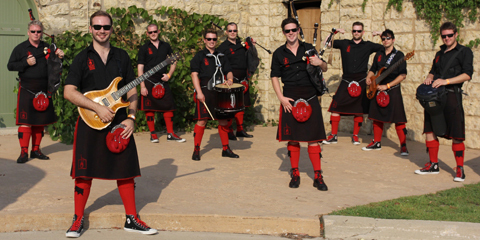 How to describe this group…besides very talented, they could be considered a bagpipe rock band..they have been called “Bagpipes with an attitude” and “drums with a Scottish accent”. Whatever you call them, they are uber innovative and very popular with the masses. The Pipers have managed, quite successfuly, to fuse traditional Scottish music and Rock/Pop Anthems which they call “Bagrock”. Composed of pipers, guitarists, keyboards and drummers, the banded together in 2002 to form the group Red Hot Chili Pipers..check out their official website for more interesting factoids. Notable covers are We Will Rock You by Queen, Clocks by Coldplay and Smoke on the Water by Deep Purple. Their newest DVD, Live At The Lake is due to officially release Novemeber 2014.